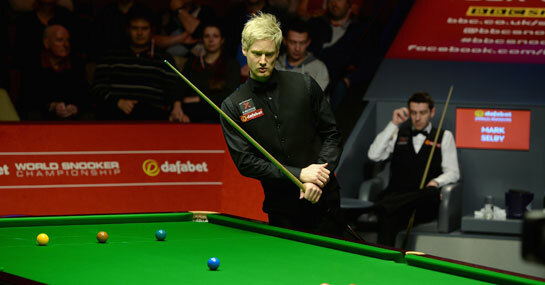 It’s been a familiar start to the season for Neil Robertson as the first two ranking events of the campaign have followed exactly the same plane as his 2013/14 opening. Having defended his Wuxi Classic title by beating his great mate Joe Perry 10-9 in the final (coming back from 9-8 down), the world number three went to the Australian Goldfields Open and lost in the final to Judd Trump 9-5. Although the identity of his conqueror had changed this year (Marco Fu beat him 9-6 12 months ago), that’s exactly the same start to the season Robertson registered last term, and it’s the reason Ladbrokes customers should avoid him in their World Championship staking plans. A win and a runners-up spot in the first two ranking tournaments is form enough to make the 6/1-shot for the April showpiece a popular punt, but if his season’s path last year is anything to go by customers would be well-served ignoring him. Following his consecutive final appearances in the first two tournaments of 2013/14, Robertson only won one more ranking tournament for the rest of the season and was a beaten semi-finalist – to eventual winner Mark Selby – at the Crucible. In fact, Robertson’s form in the game’s biggest tournament should be enough to scratch him off any shortlist, as he’s not reached the final in four straight appearances in Sheffield since his 2009/10 triumph there. Players like Ronnie O’Sullivan, the 7/4 favourite for the title, and 8/1-shot Trump hold greater appeal due to their consistency at the tournament.